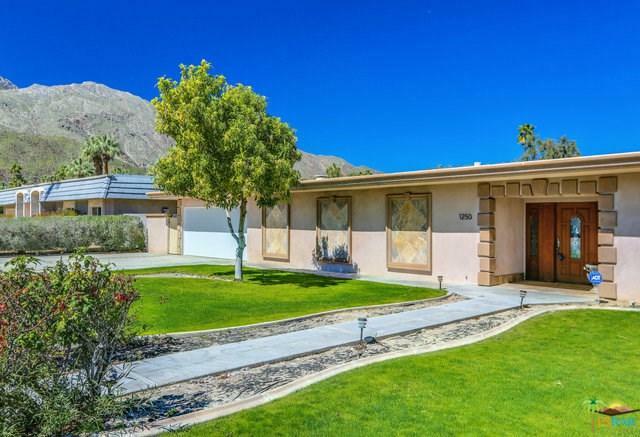 Opportunity to own this Twin Palms circa 1962 Mid-century gem! Tons of potential! Incredible mountain views with NO POWER-LINES in sight. Large, deep, saltwater pool/spa. Quiet street. Basement (originally built as a bomb shelter) would make a fabulous wine cellar or tiki room (currently used as an in-home gym). Large bedrooms, master suite is located in the rear of the home with direct pool access. 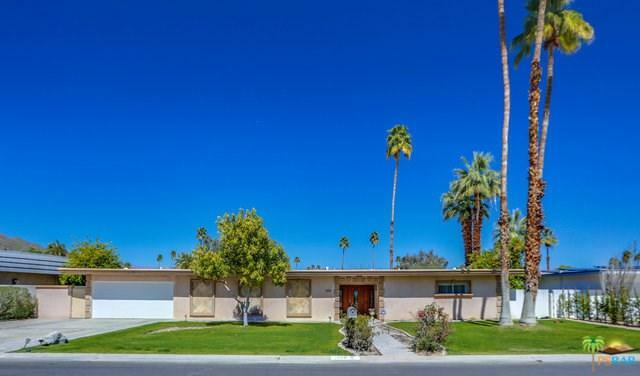 Fun, mid-century details throughout this L-Shaped home with clean-lines and flat-roof, including stone fireplace in one of the two family rooms and bathrooms with sunken showers.Twin Palms is a neighborhood that stands on its own. Known as the desert community's first modernist tract. 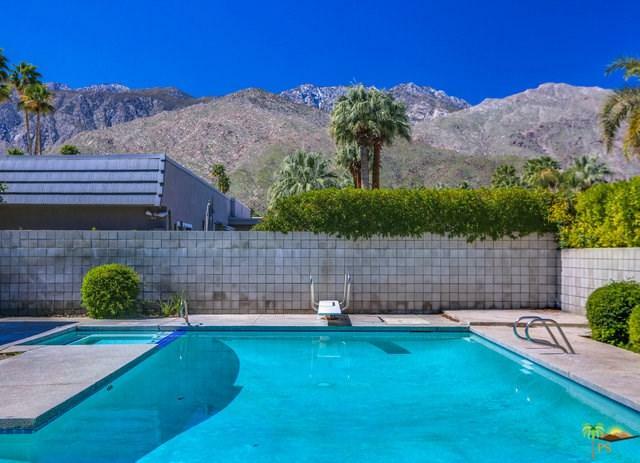 From mid-century modern to today, the homes in the Twin Palms neighborhood epitomize modernist aesthetic.